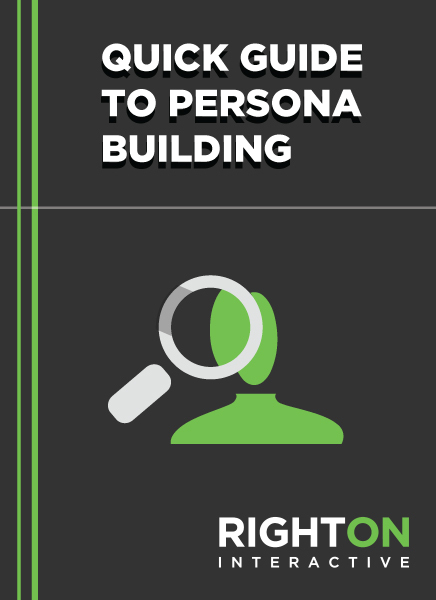 Fill out this form for you your free copy of "Quick Guide to Persona Building!" Why persona building is important for B2B sales and marketing teams. The 20 questions to ask your prospects to build a persona. How to capitalize on this important data. According to Business Grow, 3-4 buyer personas account for 90% of a company's sales, and ITSMA shares that only 44% of B2B marketing and sales teams are using personas. Put yourself ahead of the curve by learning the key fundamentals in building personas through the B2B sales cycle. Win. Keep. Grow. Right On Interactive.